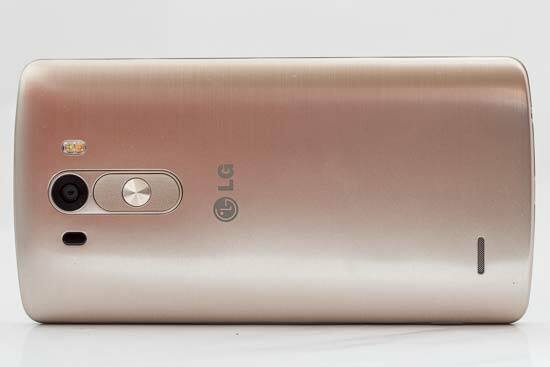 Launched in the summer of 2014, the LG G3 is an update to the LG G2. 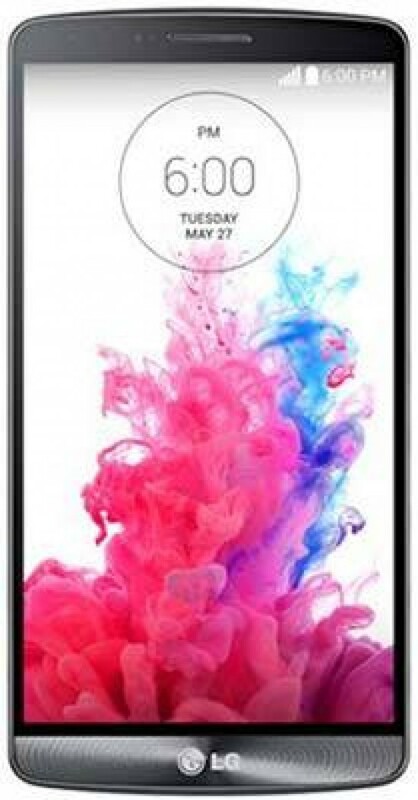 It features the same 13 million pixel sensor as its predecessor, but it now features enhanced optical image stabilisation, while the user interface for the camera part has been simplified compared to its predecessor. You can increase the memory of the camera by inserting a micro SD card, while one of the most interesting specifications is laser autofocus for quicker focusing speeds, especially in low light shooting conditions. 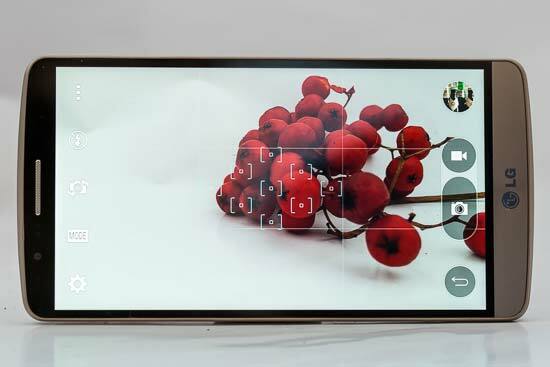 The front camera is a 2.1 million pixel device, and it can shoot 1080p HD. 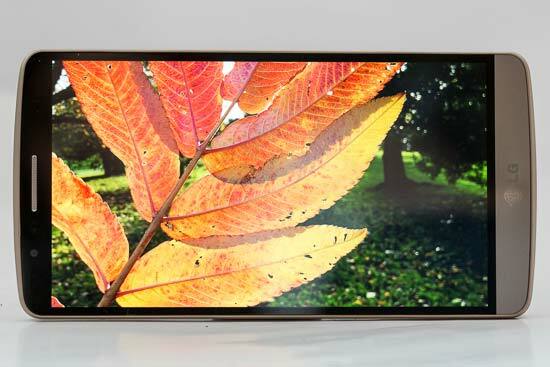 The back camera can shoot both 1080p and 4K video. 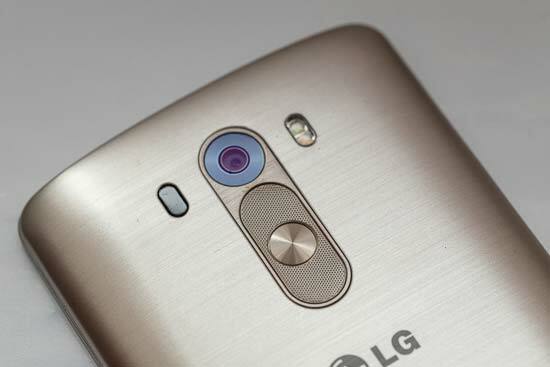 The camera is also equipped with a dual - LED (dual tone) flash. As seems to be pretty much the trend with smartphones at the moment, the G3 is a pretty large device. And although it’s not as huge as some of the “phablet” phones, it’s still only just jacket pocketable. It is pretty slim though, so the overall weight of the device is not too bad. Even by smartphone standards, there are very few buttons on the G3. The only buttons are found on the back of the camera, at the top and in the centre. Here are three buttons arranged in a pad type arrangement. There’s a centre button which acts as the power on/off button, or for locking and unlocking the screen. The other two directional buttons are volume buttons, but the down buttons can also be used with the camera - hold down the volume button from the lock screen and you’ll be taken directly to the camera. If you press the down button once in the camera app, you’ll take a photo. Although it’s a good idea to have direct buttons to push for the camera, they are positioned in an awkward place, especially when you consider the size of the camera. Although you do eventually get used to the positioning of the buttons, it’s not the most obvious of places for your finger to rest. Also, as it’s difficult to see what you’re doing, it’s relatively easy to accidentally push the central button and turn the screen off altogether. You can also tap a virtual shutter release button on the phone display itself to fire off the shutter release. If you hold this, or the physical button down, then a burst of photos will be taken in succession. Tapping the preview button will allow you to playback all of the images taken in succession, and choose one (or more) to save from the burst - a good option if you’re photographing fast moving action such as sport. Once you’re in the camera app itself, there’s a minimal amount of settings which you can change, making it reasonably similar to something like an iPhone in its operation, rather than something a little more customisable and changeable like a Samsung or Sony camera. This is good news if you want to concentrate mainly on composition, or if you’re only interesting in grabbing quick snaps, but bad news if you like to take a little more control over how your photos look. On the right hand side of the screen there’s the option to switch between video and stills shooting. On the left hand side of the screen, you can switch on or off the LED flash, switch to the front facing camera, switch to Magic Focus, Panorama or Dual mode and if you tap a cog icon you’ll be presented with options to turn on and off HDR shooting, change the resolution size, switch on the timer, display grid lines, switch between the internal memory and micro SD card - you can also switch off the ability to voice control the camera. If you have this switched on, it will take a photo when you say the word “cheese” - useful for group shots and selfies. To change the SD card and therefore change the amount of memory available, you’ll need to remove the back of the camera first. It’s a bit of a faff unfortunately, which isn’t particularly good if you want to quickly grab your photos to put on your computer. Instead, it’s probably easier to connect the phone to your computer directly via a cable, rather than take the memory card out every time you want to use it. Other than these relatively limited options, you can’t change anything more substantial, such as exposure compensation, aperture or shutter speed. Magic Photo allows you to refocus an image after you’ve taken the shot, but only immediately after you’ve taken it. If you try to come back to the shot some time later, you won’t be able to refocus the image, so it’s handy if you realise straight away that you’ve missed the focus - but then again if you realised that you’d probably just retake the image. 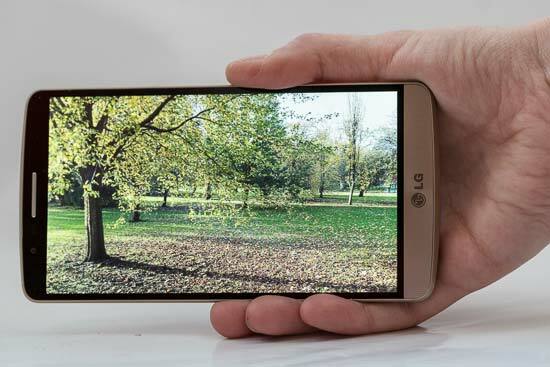 Once you’ve taken a photo, the phone is ready to shoot again pretty much instantly. The image you’ve just taken will be displayed in a small preview circle in the top right hand corner of the screen, simply tap this to be taken to the last photo you took, and then you can swipe through all the photos you’ve taken. You are also presented with some options of what you can do with the photo, including tapping a star to make it a favourite, start a slideshow of all your images, delete it or attach it to an email and so on. You can also select bluetooth to send it to another compatible device. If you tap the photo, all the photos that you’ve taken will be displayed at the bottom of the screen so you can scroll through them quickly - which is handy if you need to reach a pretty old photo. In terms of editing, the only thing you can do here is crop your image, but it’s not too disappointing considering that the Android operating system has hundreds of different apps which allow you to do all kinds of fun and creative things with your photos - but you will need to put in some time to discover the best apps for you if you’ve never used the Android operating system before.